The 3 Series gets a new word to lift its efficiency. Dubbed the 320i EfficientDynamics, is it really efficient or just another one of BMW's marketing gimmicks? BMW 3 Series that really caught on as a show stealer with its stellar headlights and sleek design. And when such a beauty is offered with two fuel options, we better be thanking the gods. BMW 3 Series is a sedan that is way beyond any ordinary sedan. With looks which make even the limousines tremble and the approachable design that makes it an amiable switch from any other regular sedan. This review is base on my comparison with the C180 that I rented on my recent holidays. I had both cars for the trip and it is a fair comparison. The car I drove were the 318i M-Sport and C180 Avantgarde. I enjoyed the BMW more because it is the more honest car with lots of character, despite being the less powerful car of the 2. The BMW is less spacious at the front but makes up for better visibility, a more comfortable seat that offers great thigh support, and the enjoyable handling along high-speed curves. The BMW does produce a decent amount of road noise but the frequency of the noise is less bothersome than the ones produced by the Merc. In this aspect, the BMW is the better long-distance cruiser. In terms of ride comfort, the BMW does a better job absorbing the high speed bumps. The Merc does slightly better with the low-speed ones. I like the BMW a lot because of its honesty and character. Whereas the Merc is pretending to be a luxury car but it doesn't feel like one. The BMW wins. Beautiful handling with well-weighted steering. Very enjoyable to drive along high speed curves. Excellent fit and finish, quality plastics. Engine can be more powerful. Boot opening is smaller than a C-Class, hampers the loading of luggage. Sound insulation - new car worse than my old audi. BTW i got a new 318i. fuel consumption around 10.5-11km/l. Stated is 18km/l. Audi a4 was 25km/l. So dont have to believe this stats which is ran on highway which is few hundred km longggg. It does not need a genius to know whether or not to get a BMW car. If you want a full comfort drive, this 3series is definitely not the one you are looking at. But if you want something sporty and yet premium luxury, this is the one for you. I did a comparison with a few cars. The Mercedes Benz C class, Audi A4, VW Passat, Volvo S60, Infiniti Q50 and Jaguar XE. We know all of the good things about individual cars. Let me summarize the cons for these cars and why I finally decided to get the 3-series. C class. The interior is good looking but there are too many round fixtures and becoming rather too retro for me. The drive is rather noisy and the driver seat feels compact and most importantly, the steering wheel is not centered, same as Volvo cars and I hate it..
Audi A4 and VW Passat. Too many horror stories and makes me avoiding VAG. Enough said. I like the Passat interior the most and I feel that the latest A4 model is kinda ugly to me. The older A4 models are more good looking, in terms of exterior. Volvo S60. Before the drive, you will get bored with the interior look although it is well known that the seats are the best among the rest and of course, a safe car. But the interior is just too ugly for me. Infiniti Q50. My 2nd choice during the selection. The interior is very nice, very high end digital edge technology, with two BIG screens. But I hate the noisy T loan Merc engine and the poor gear shifting ratio. You can't feel much difference in terms of comfort to sports mode. Jaguar XE. Cheaper than a 3series, high OMV and yet fun to drive. The main problems are the A and B pillars are too big that can be blind spots for the driver. The overall size is too compact which is definitely not for those who are having the concern of being claustrophobia. No doubt that the drive is great.. That is why this XE is my 3rd choice. After deep thoughts and considerations, the new facelifted 3series is a very well built car with full fixtures and powerful engine and gearbox. The usual 50 to 50 weight ratio and RWD are always the main key factor for BMW cars, which out shined on the overall handling. The 8 speed ZF gearbox is just so amazing. Nonetheless, I think this is the best car for single hood driver or couples without kids who believed to have a good sense of taste and living lifestyle. Read on Europe and USA BMW car forums, F30 reliability is so far so good! Obvious driving experience when adjust from EcoPro to Comfort to Sports to Sports Plus mode! Irritating Start and Stop function, unable to set default OFF. Need to upsize at least 19 inch rims to look like a BMW. Haha.. Unable to open driver door while reverse parking. GB will set to P mode automatically and written Warning sign on the screen. Lots of addons that you will keep on spending on the upgrades and makes you broke! LOL. Irritating Dong sound when not putting driver seatbelt. Though, there are much worse irritating sounds on other car brands. Authorised Distributor BMW cars are BMW 1 Series Hatchback Reviews, BMW 2 Series Active Tourer Reviews, BMW 2 Series Active Tourer Plug-in Hybrid Reviews, BMW 2 Series Convertible Reviews, BMW 2 Series Coupe Reviews, BMW 2 Series Gran Tourer Reviews, BMW 3 Series Sedan Reviews, BMW 4 Series Convertible Reviews, BMW 4 Series Coupe Reviews, BMW 4 Series Gran Coupe Reviews, BMW 5 Series Plug-in Hybrid Reviews, BMW 5 Series Sedan Reviews, BMW 6 Series Gran Turismo Reviews, BMW 7 Series Reviews, BMW i3s Electric Reviews, BMW i8 Coupe Reviews, BMW i8 Roadster Reviews, BMW X1 Reviews, BMW X2 Reviews, BMW X3 Reviews, BMW X4 Reviews. Parallel Imported BMW cars are BMW 2 Series Active Tourer Diesel Reviews, BMW 2 Series Gran Tourer Reviews, BMW 2 Series Gran Tourer Diesel Reviews, BMW 3 Series Plug-in Hybrid Reviews, BMW 3 Series Sedan Reviews, BMW 4 Series Convertible Reviews, BMW 4 Series Coupe Reviews, BMW 4 Series Gran Coupe Reviews, BMW 5 Series Sedan Reviews, BMW 5 Series Sedan Diesel Reviews, BMW 5 Series Touring Reviews, BMW 6 Series Gran Coupe Reviews, BMW 6 Series Gran Turismo Reviews, BMW 7 Series Reviews, BMW 7 Series Diesel Reviews, BMW i3 Electric Reviews, BMW i8 Coupe Reviews, BMW X1 Reviews, BMW X2 Reviews, BMW X3 Reviews, BMW X3 2011 Reviews, BMW X4 Reviews, BMW X5 Reviews, BMW X5 Diesel Reviews. sgCarMart is the number one car site for buying Singapore cars, including new cars, parallel import cars, Toyota, Honda, Nissan, Volkswagen, Mitsubishi & BMW. We have new car dealers comprising parallel importers, authorised car distributors, and used car dealers who have the New BMW 3 Series Sedan latest price Find new car pricelists, new car launches, new car promotions, new car reviews, latest car news & car articles. 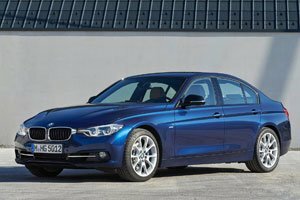 Read the New.BMW 3 Series Sedan consumer reviews to help you decide on buying a car. Also join our car discussion and forum discussion for car reviews, motoring news & motoring guides. Visit our partner sites who have job openings for Singapore jobs, Singapore classifieds, mover and real estate properties for sale.